Veterinarian Dr. McKenna graduated from Albion High School in 1977. He attended Canisius College for two years and then transferred to Cornell University where he received an Animal Science Bachelors Degree. In 1988 he graduated from Auburn University College of Veterinary Medicine. The McKenna family started on this farm with Dr. McKenna’s parents George and Margaret having had a small dairy farm where they milked about 35 Holstein cows, with 25-30 young stock. After George’s Dad passed away and his Mom moved into Albion, George and Iva moved into the farmhouse. The fields surrounding Country Lane Veterinary Services are the ones that fostered our future. George and Iva have four daughters; Caton, Kerri, Betsey, and Jenny. Growing up, the girls experienced the pleasures and difficulties of raising Guernsey cattle, goats, chickens, dogs, and cats on the farm. In addition to having parents who had to change plans many times to take care of a client’s pet that needed attention after hours. Although their daughters have moved out and started lives of their own, each of them continues to be involved in agriculture and enjoy having pets of their own. The girls are still involved in the practice, but in a more consulting role. Kerri graduated from Cornell University with a degree in Animal Science and Agricultural Education in 2011 and with her Masters in Teaching in 2012. She joined our team in July of 2018, and we are excited to have her back on a regular basis as our Business Manager! Kerri and her wonderful husband Rob have 2 beautiful children that she loves spending time with and traveling with! Also part of their family are 2 dogs, and a handsome kitty. Mitch went to Albion High School, and graduated from the Veterinary Technology Program at Genesee Community College in 2017. He passed his VTNE in August and is now a Licensed Veterinary Technician. He enjoys spending time with his dog Willow, his cat O'Malley and his two rats Bilirubin and Atlas. His hobbies include hunting, fishing, and taking care of the animals that come to visit us. Susan is a native of Lyndonville, NY. She graduated from Medaille College in 2001 with an Associate's Degree in Veterinary Technology. After spending 16 years as an LVT in various different types of veterinary hospitals in Richmond, VA, she has moved back to Lyndonville and is a member of our team. She is currently in the process of becoming licensed to practice as a Veterinary Technician in New York State. When she is not working she enjoys spending time with her daughter Courtney, and her family and friends. She also enjoys camping, fishing, and hiking. In addition to her Courtney, she has a yorki-poo named Pebbles and 3 cats named Phineas, Ferb, and Lilly. Heather was born and raised in Rochester, NY but has had a lifelong love of the country due to frequent camping trips with her family. She attended high school in the city of Rochester and then went on to earn her Bachelor of Science degree in Applied Statistics from RIT. 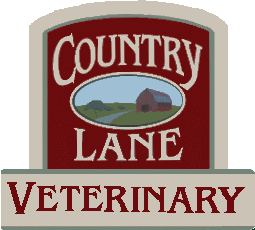 She joined Country Lane Veterinary Services in late 2016. Here, she is combining her love of animals with her experience in customer service, computers and analytical statistics. Heather's other interests include spending time with her family, gardening, reading, gaming and being outdoors. She has two cats named Stormy (aka Floof) and Luna. Sandy was born and raised in Lyndonville, NY and now lives in Medina. You may see her taking her 3 dogs; Mazie, Woodrow, and Daisy Mae on long walks around the town. She also has a cat named Norman James. She has a high appreciation for animals and loves them all. Sandy joined our staff in early 2018 and has been a great addition since. Her love of animals and her experience in customer service makes her a true pleasure to work with. Sandy's interests include spending time with her dogs, thrift store shopping and photography. She can't helping herself from snapping a picture of any animal that comes her way!